This post helps you to create simple and stylish Horizontal tab menu using pure css without any jquery and scripts. 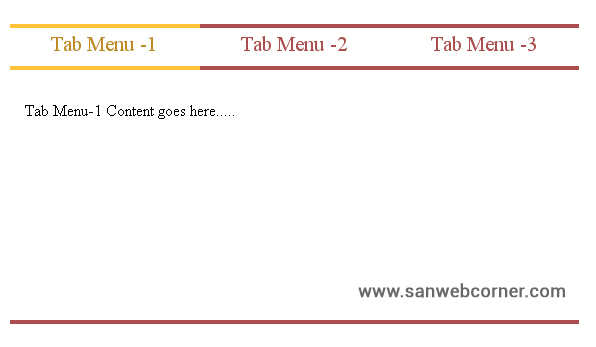 This simple tabbed menu shows like a two horizontal lines with active state of the tabs. In this example i used three navigation and i spited the 33.33% width of each menu for responsive purpose. This is one of the best and simple tabs menu with responsive, I used different colors for active text and detective text in tab menus. 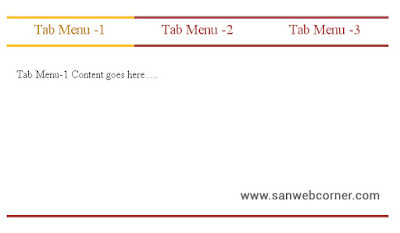 This tabmenu is very useful to designers to place the content in different manner in our websites.